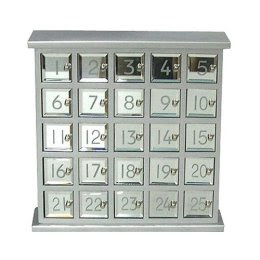 This Mirrored Advent Calendar from Target would be pretty reflecting candlelight and colorful ornaments. Not sure that all those mirrors and sticky little fingers would work so well together though! I saw this at Target the other day, beautiful. I love your posts about the advent calendars. It is giving me some good ideas for making my own.